they've finished flowering so that their beauty can be enjoyed throughout the year. scattering around a few varieties. There's a science to choosing and arranging them. 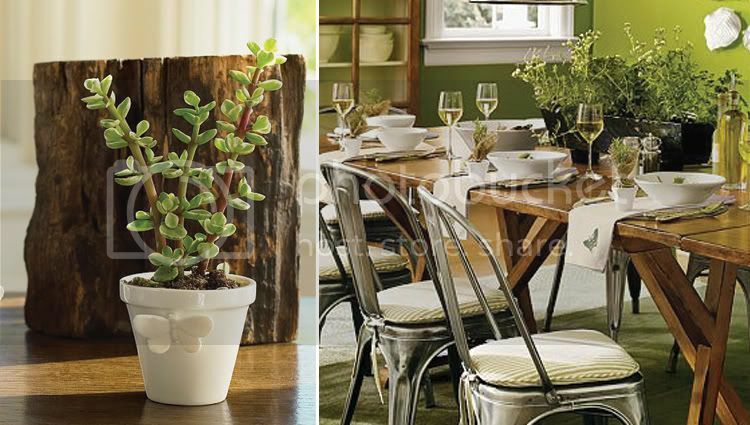 Match the plant style with your table design. Avoid frothy or flowery plants in a modern setting. 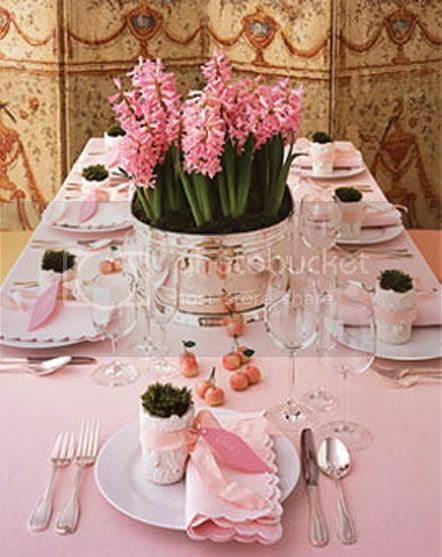 So-called "architectural plants,"
a row down a long table for compliments galore. the same kind of pot for a sense of unity. of the fun they had at your glorious wedding. Your little secret: Flowering plants are deceptively kind to the budget. 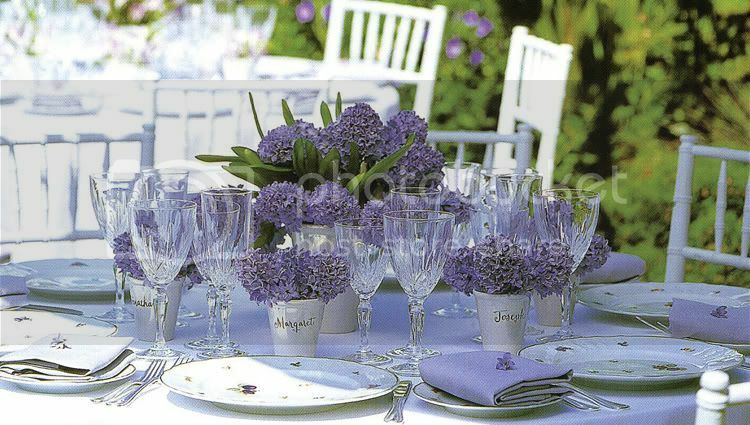 first opportunity to create a contained garden is right on your table. Gorgeous, love the first one. 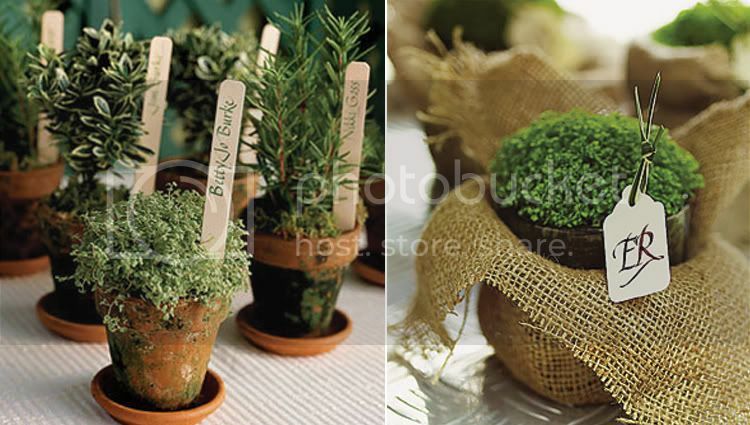 Yum...that cake looks so real, how adorable for a garden wedding!! That last photo is GREAT!! I have been using hyacinth a lot lately...they smell heavenly! these are really very nice and attractive wedding photos.The last photograph is simply breathtaking,looks so real..at the first sight,I never thought that it was a cake..I love it! 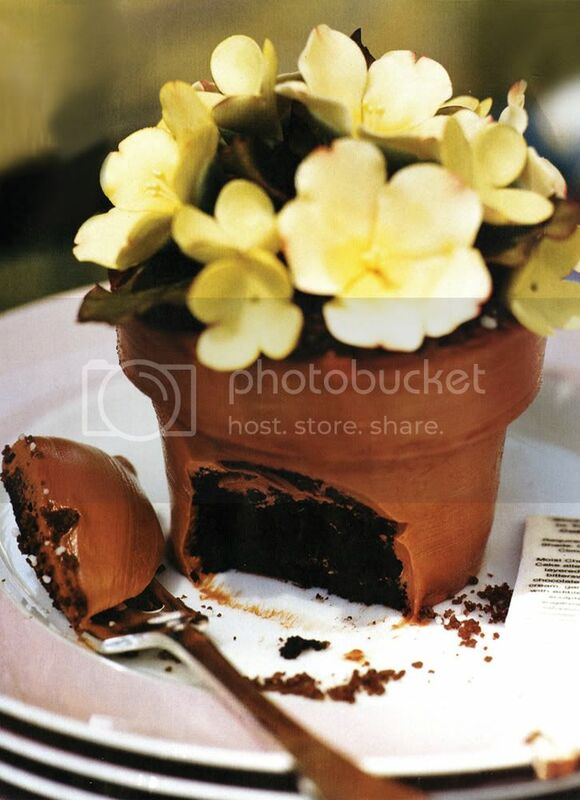 that flower potted cake looks delicious. maybe it's because it's nearly lunch time, or maybe it's because that's a sincerely unique little cake. good find. Very pretty! 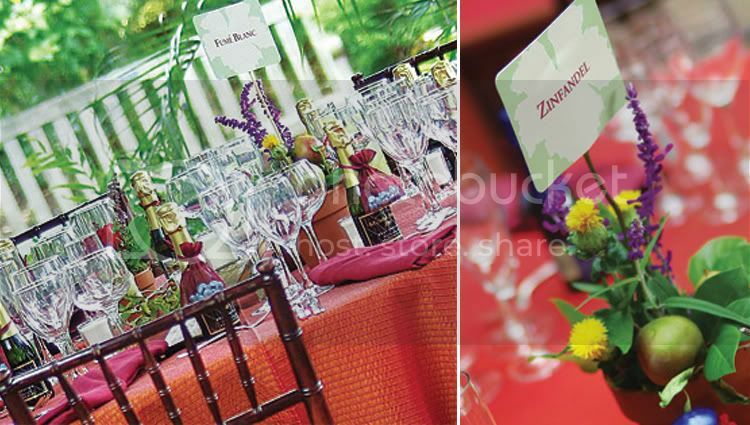 Where did you get the silver vases in the first picture? Both the larger and the smaller ones with names are very nice.